The KDE Plasma 5 image ISO has been updated to release 2017.03. The image includes all of the updates and bug fixes from the past month. The kernel was updated to 4.9.13. 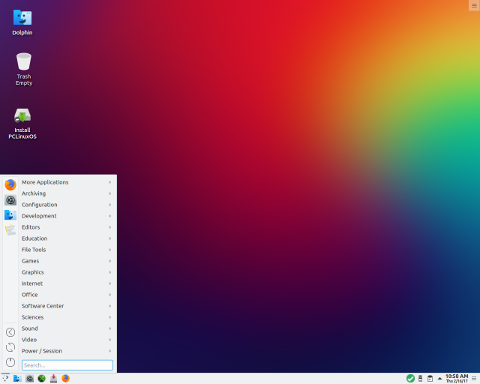 KDE components were updated to Plasma 5.8.6 LTS, Frameworks to 5.31.0 and Applications to 16.12.2. Nvidia current video driver was updated to 375.39. Bug fixes include the menu editor, net applet in the system tray, konsole profile and better defaults for Dolphin and System Tray icons. Applications added to the ISO image include gparted, nixnote2 and dropbox.